The International Boating and Water Safety Summit: The Future of Recreational Boating will be held in Jacksonville, FL, Sunday, March 24 – Wednesday, March 27, 2019. 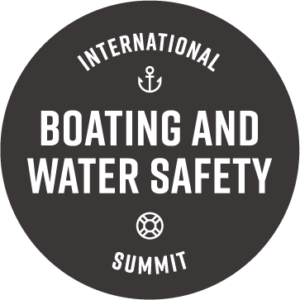 PURPOSE: The 23rd annual International Boating and Water Safety Summit is the premier event for training, education, awareness, meeting, and networking for professionals, volunteers, and anyone involved in boating and water safety. THEME: #IBWSS19 will explore The Future of Recreational Boating with thought-provoking, innovative and engaging sessions. CONFERENCE CONTENT: General sessions cover a broad spectrum of national and international concerns with a focus on The Strategic Plan of the National Recreational Boating Safety (RBS) Program and implementation opportunities. Breakout sessions allow the individual to attend classes geared toward their profession including Education, Risk Management, Law Enforcement, Communications and Outreach. DEVELOPMENT BENEFITS: IBWSS partners (NSBC, NASBLA, NWSC) are coordinating with national and international groups to create a program to meet the various needs of our attendees. All presentations will be selected using a criteria that includes how the presentation relates to the RBS Strategic Plan, how the content is relevant to boating and water safety, and how the attendee will be able implement elements of what they learned into their own programs and initiatives. CONFERENCE EXPO: The IBWSS Expo is an essential part of the our program. Each year, we bring together key boating and water safety exhibitors to introduce our attendees to current initiatives, products, and tools to help better accomplish their goals of boating and water safety. Exhibitors showcase their newest products, and attendees have the ability to directly discuss opportunities for saving money and increasing their reach within their agencies.